1. 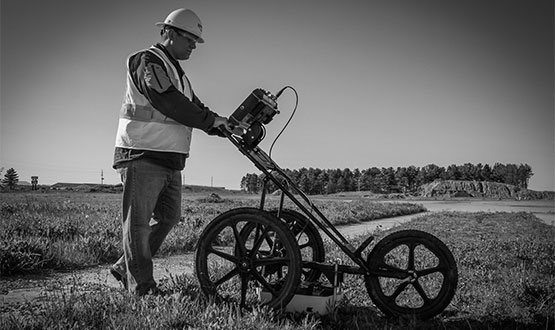 What Is Ground Penetrating Radar (GPR)? Ground penetrating radar is a detection method which uses radio waves to identify buried or hidden elements within a structure or beneath a surface. This non-destructive method uses antennas of varying strengths to transmit a signal into a surface. As the signal encounters different elements within that surface, it is bounced back to a receiver at the surface. 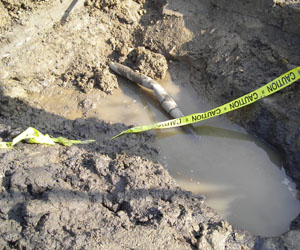 This action creates a reading which can be interpreted by experienced GPRS Project Managers in order to determine the location and depth of buried utilities and other subsurface elements. 2. How Is GPR Used? 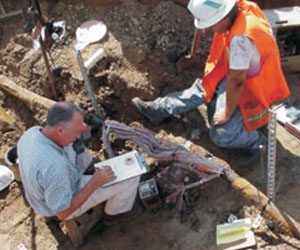 GPR is used to identify the depth and location of subsurface elements. GPRS uses this radar for utility locating and concrete scanning applications. 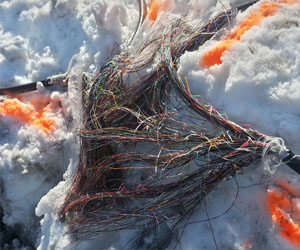 Varying antenna strengths are used for different applications, depending on the type of material being scanned and the anticipated depth of the buried elements. 3. Does GPR Have Any Limitations? 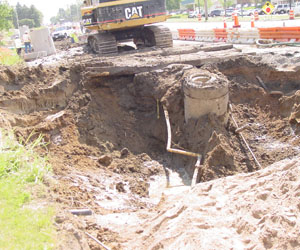 GPR is extremely effective at locating subsurface utilities and other elements, however it does have certain limitations. Ground and soil conditions, weather, and type of material being located are just a few of the potential limiting factors. GPRS Project Managers are skilled in determining if GPR is the right choice for you project. In the event that conditions are not suitable for GPR scanning, an alternative recommendation can be made. 4. What Type Of GPR Equipment Is Used? 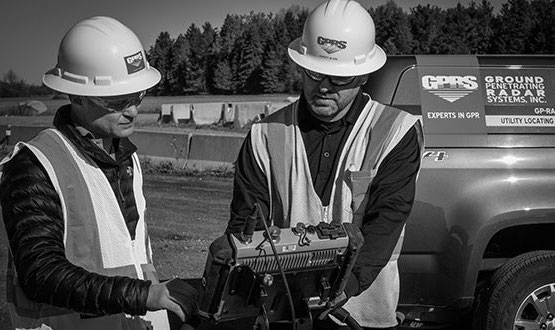 GPRS uses a variety of ground penetrating radar and scanning tools according to a project’s needs. 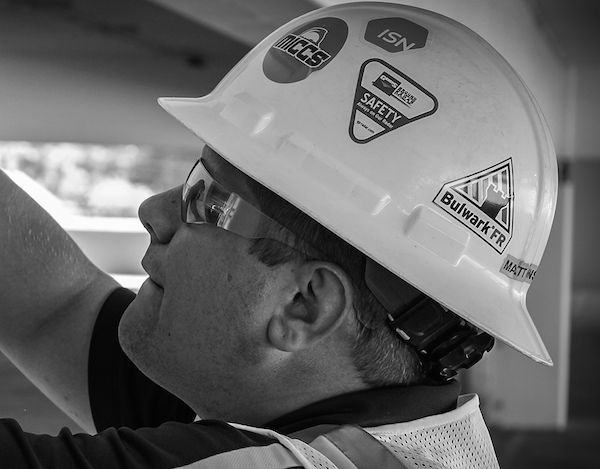 Our two most commonly used pieces of equipment are the concrete scanning antenna and the utility locating antenna. Read more about the different types of equipment we use here. 5. How Can I Determine If GPR Is Needed For My Project? Contact GPRS by phone or through our website and a local GPRS representative will be in touch with you as soon as possible. 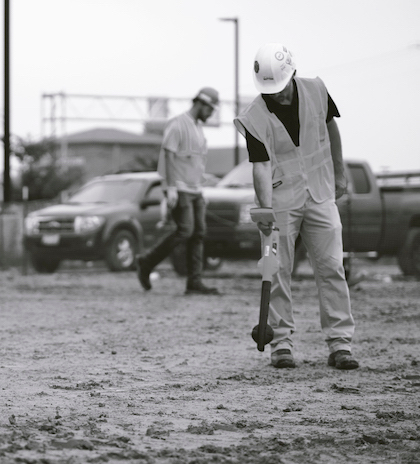 Our representatives and local Project Managers are skilled in assessing local conditions and can help you to figure out how GPR services can meet your needs.